Breather is the leading provider of high-end, private, on-demand meeting spaces, offering professionals flexible spaces through its mobile booking technology. With an expanding network of nearly 500 spaces across 10 global markets, Breather serves as a trusted meeting room solution for today’s workforce. Breather is powering two cultural shifts, the first being the way people work, and the second being how the world views, accesses and uses commercial space. Each Breather location is available for a few hours or up to several weeks, with no membership fees, allowing people to unlock and access space with a few clicks on their smartphone. Breather spaces are designed by an in-house team of experts to create inspiring and elevated professional environments for focused work and team collaborations. Bespoke designs that enhance productivity and focus are key elements within every Breather space. For landlords and leasing professionals, Breather is solving a huge problem for tenants whose growing and mobile workforces need more flexible options for getting work done out of the office or on the road. By enabling large and fast-growing companies to manage their space needs with fewer long-term commitments and upfront capital costs, Breather serve as a flexible space solution for small, growing startups and multinational corporations alike. Today, Breather is active with many of the top landlords across its markets, including many of the world’s largest owners of commercial assets. In 2017, Breather added 105 new buildings to its platform, with 25 additional buildings expected to open by end of year. This brings the current total to 268 buildings, closing out 2017 with just under 300. Breather has now launched in 10 global markets including New York, San Francisco, London, Toronto and Los Angeles, and will continue to expand its footprint and explore new markets in North America, Asia and Europe. 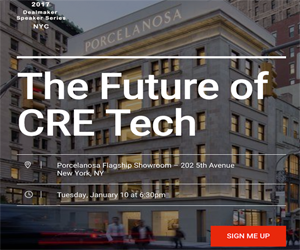 By the end of the year, Breather will be in 500+ spaces and occupying more than 350,000 square feet, representing a growth of more than 200 spaces and over 200,000 square feet for the year. More than 10,000 organizations/companies have used Breather, varying in size from freelancers to Fortune 500 companies. As the company has grown, Breather’s client roster has increased in tandem to include such well-known brands as Google, Facebook, Spotify, Levi’s, Netflix, The New York Times, GrubHub and Apple, among others, all of whom have reveled in its ease of use and touted the spaces for promoting quality productive experiences. In the past few years Breather has seen a major shift in the real estate community embracing technology. The best companies in the real estate tech sector are the ones that use their data to benefit the real estate community as a whole. Breather’s member base is diverse - from the growing startups to the the well-established companies. The company has tapped into the needs and usage patterns of its members and puts that information to use. Proximity to Breather’s spaces afford companies flexibility when evaluating their short term real estate needs - a Breather in the building or down the street can act as an extension of their office until they are able to re-set upon lease expiration. In some higher-vacancy markets, landlords are engaged in competitive amenity creation. Landlords in these markets often view Breather as a valuable asset to their portfolio - an amenity that not only brings in revenue, but adds value for both current and potential tenants. Initially founded as an on-demand meeting space option for freelancers, the company’s spaces have become a prime destination for top companies looking for a break from their full-time offices (including companies based out of co-working spaces like WeWork) for off-site meetings, team brainstorms, client meetings, focused individual work and more. In 2018, Breather will be focused on product enhancements geared toward its enterprise clientele. For its landlord partners, Breather will be focused on expanding and diversifying its current deal structures along with rolling out tools geared specifically for landlord-use.